White House envoy supports Egypt's efforts for ceasefire, says Palestinian Authority "cannot criticize from the sidelines." Jason Greenblatt, the White House Special Representative for International Negotiations, on Wednesday expressed support for Egypt’s efforts to achieve calm in Gaza. 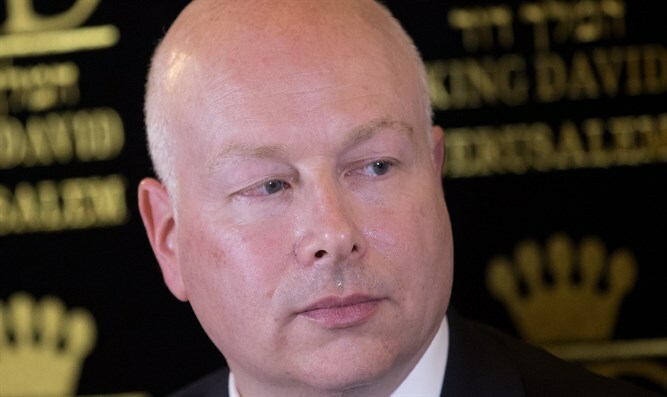 In a statement, Greenblatt also said that the Palestinian Authority (PA) should assume responsibilities in Gaza. “The Trump administration strongly supports the efforts of President Al-Sisi and the Egyptian government ‎to help facilitate an agreement to restore calm in Gaza and bring about the conditions for the Palestinian Authority to fully assume its responsibilities in Gaza,” he said. “The Palestinian Authority cannot criticize from the sidelines. The Palestinian Authority should be part of the solution for the Palestinians of Gaza and Palestinians as a whole. If not, others will fill that void,” continued Greenblatt. “Leadership is about making hard choices. The people of Gaza, and Israelis in the area around Gaza, have suffered for far too long. It is time for the Palestinian Authority to lead the Palestinian people – all Palestinians – to a better future,” concluded the statement. Egypt for several weeks has been mediating talks on a long-term ceasefire between Hamas and Israel. Senior Hamas officials recently claimed that negotiations have made significant progress, and that a ceasefire is expected to be reached following the Eid al-Adha holiday. In addition to the ceasefire efforts with Israel, Egypt has been trying to achieve reconciliation between Hamas and the Fatah faction, headed by PA chairman Mahmoud Abbas. The sides have been at odds since 2007, when Hamas violently took control of Gaza in a bloody coup. A unity government between Hamas and Fatah collapsed in 2015 when Abbas decided to dissolve it amid a deepening rift between the sides. “Terror and violence have held back the Palestinians of Gaza for too long and will NEVER succeed. There can be a better future; it is time to embrace it,” he added.